Item is a watercolour sketch of a costume design for Ballet Jorgen's production of Swan Lake. The costume is for the ballet corps of brides or swans. 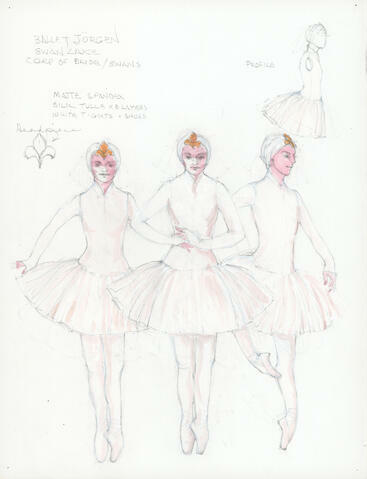 The sketch shows three female figures wearing the costume as well as details of the headpiece and the profile view.